As we have squarely arrived in the eighth circle of hell that is Brett Kavanaugh’s nomination to the Supreme Court, the author of a confidential letter alleging sexual assault, Christine Blasey Ford, has come forward to set the record straight. The Post reports that Ford sent the paper a tip in July, but refused to speak on the record for fear of backlash against her family and eventually concluded that going public wouldn’t affect Kavanaugh’s apparently inevitable appointment. But after watching leaks circulate in the media this week about her letter, the resulting war of words, and being approached by reporters at her home and in the university where she teaches, Ford has released her name, read the letter’s contents to the Washington Post, and supplied the paper with positive results from an F.B.I.-administered polygraph test and notes from her therapist recounting the story. Notes from 2012 therapy sessions show that Ford recounted the episode; the notes do not name Kavanaugh but describe him and Judge as “highly respected and high-ranking members of society in Washington.” (At the time, Kavanaugh was a federal judge). Ford’s husband Russell Ford, who was present during the sessions, specifically recalled to the Post that she had named Kavanaugh and worried about the possibility of our present waking nightmare, that he might someday be nominated as a Supreme Court Justice. The White House again issued Kavanaugh’s previous denial to the Post, claiming that he “did not do this back in high school or at any time.” Mark Judge also told the Weekly Standard on Friday: “It’s just absolutely nuts. 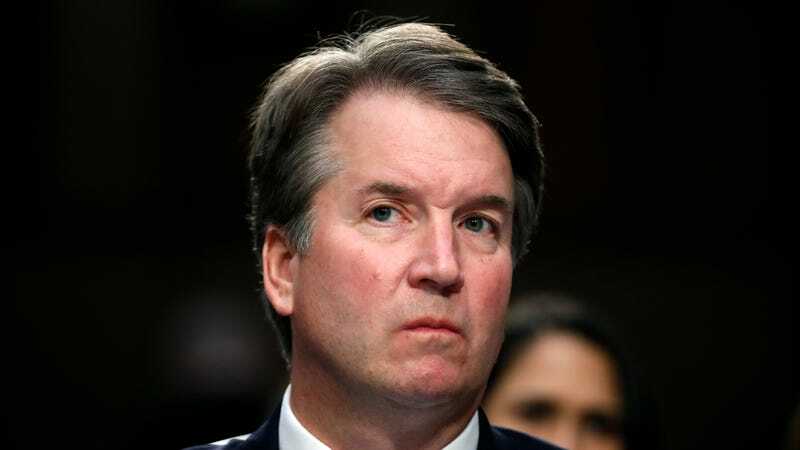 I never saw Brett act that way.” Kavanaugh and Judge told the Post that they have no further comment. Feinstein, who kept Ford’s letter private, strongly opposes Kavanaugh anyway and has listed her reasons for voting against him in the Los Angeles Times, citing the fact that he declined over a dozen times to affirm that Roe v. Wade was correctly decided, that he used Republican terms (such as “abortion-inducing drugs” in reference to contraception), he lied, for example, about receiving information stolen from Democrats, and he has kept 90 percent of the documents from his time in the Bush White House from seeing the light of day. The committee will vote on whether to send Kavanaugh’s nomination to the Senate on Thursday, September 20th.